Your wedding is one of the most important days of your life. All eyes are on you and you want to look your best, head to toe. As wedding season is in full swing, what better way to accessorise than to style out a gorgeous pair of specs. At Specsavers Chelmsford there is a range of styles, from pretty pastels to the new sophisticated designer GANT collection. ‘Opting for frames on your big day gives you endless choice’, says style expert and retail manager Megan Hodges. Whether you want to keep it subtle and sweet, or make a big statement, Specsavers has the answer. 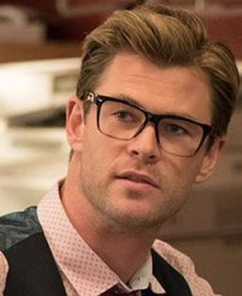 Men may want to embrace a bold look to accentuate a strong brow like Chris Hemsworth - styles from Ebdon (£45) would work well, or go for a quirky but stylish pair from Tommy Hilfiger (£125) to add a bit of extra personality to a black tux. For the ladies, a firm favourite proves to be soft pastel colours from collections such as Max and Co (£149) which compliment white flowing gowns perfectly with a hint of colour. However if you’re crazy for colour and want to truly make a statement, go for some bright and bold frames from Converse (£99). ‘My personal favourite to make your eyes truly sparkle are our Acuvue Define lenses. I always wear them; they’re subtle but give you that extra glint in your eye. Once you’re finished and you love your look, why not enter yourself into our SWOTY competition for the chance to celebrate with a trip to New York and £10,000! To be in with a chance of winning enter here.